Sen. Guy Howard served only 60 days in the Senate in 1936, and had once worked in the House post office. 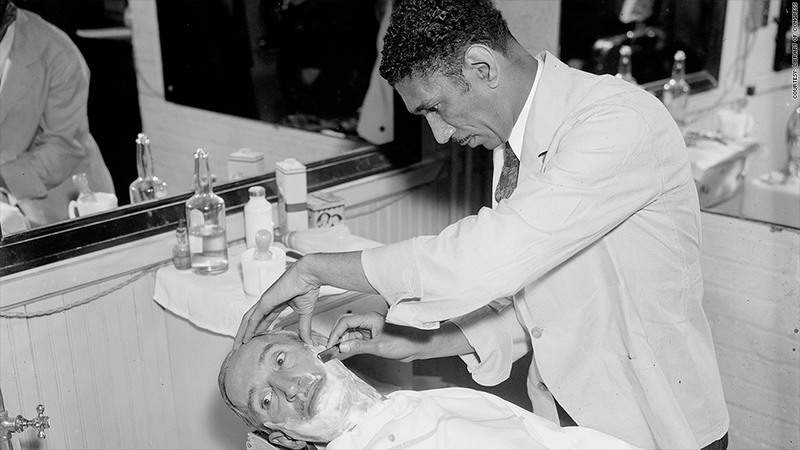 The Library of Congress says he was pictured here visiting the Senate barbershop for "the works: haircut, shave, shampoo and massage." The barbershop for lawmakers is getting a trim. Taxpayer-subsidized haircuts -- which run $23 to $25 -- are a little known congressional perk, at least outside of Washington. But there's good news: Government spending on lawmaker grooming has dropped by more than 50% in the past three years, according to Senate data. The bulk of the cuts were required as part of the forced government spending cuts in 2013 known as the sequester. Management cut back the shop's payroll, eliminating the shoe shine attendant, manicurist, administrative assistant and manager, and cutting the pay for the eight barbers and stylists. The jobs paid well for the service industry. The top-paid stylist earned nearly $80,000 per year, and the manager's salary was almost $87,000. The base salary for senators is $174,000. With a menu of haircuts and shaves, the barbershop is a traditional element of Capitol Hill life, dating back to days when members lived in homes without running water. But it has been criticized by some as an unnecessary expense, especially as the government pares back other programs and services. The numbers came to light when The Sunlight Foundation, a government watchdog, organized thousands of pages of dense expense reports into easy-to-read spreadsheets. The reports include spending from the "Senate Hair Care Revolving Fund" -- that's the official name. 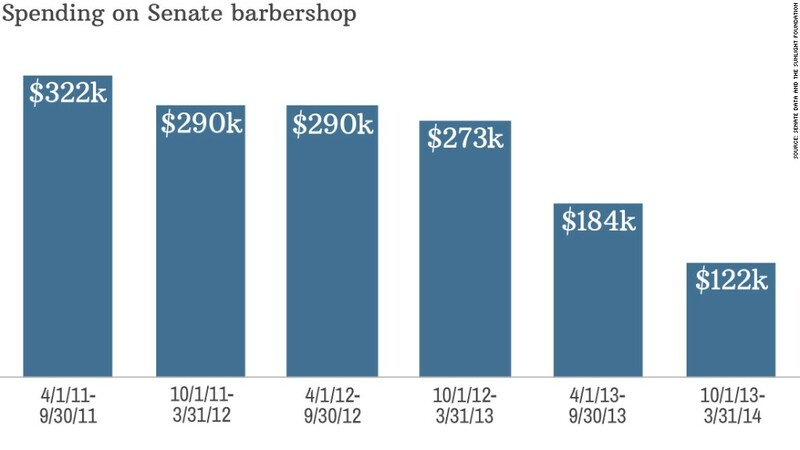 The Washington Post first spotted the dip in congressional barbershop spending.